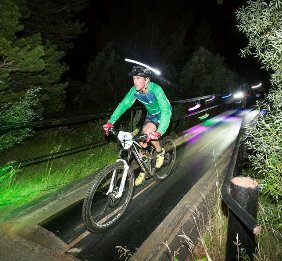 These family-friendly x-country night bike races feature a custom illuminated course that runs through the Lake Tahoe Golf Course, over fairways, into the rough, through sand traps and over bridges with the occasional cart path. The course is approximately 3 miles per lap, with most classes riding 2 laps. 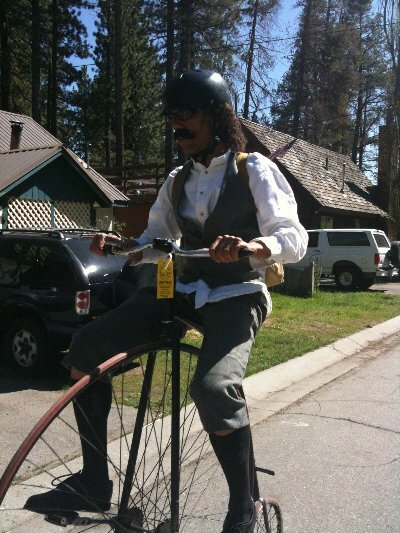 Tahoe Games Bike Night races are free to attend and open to all ages and abilities. This illuminated, x-country course spans across the golf course, over fairways, into the rough, through sand traps and over bridges with the occasional cart path. Helmets, bike lights, headlamps, glow sticks, bike decor and costumes are strongly encouraged. The course will be designed for any type of non-motorized bicycle. Registration occurs at 7-8pm in the Clubhouse with races set to begin around 8:00 pm. Races will be conducted in three heats as a group start broken down by classes. Awards and an after party in the Clubhouse will follow the race. Helmets and bike lights are recommended for all competitors and get be purchased at Sierra Ski and Cycle Works . The course will be designed for ages 10 and up to enjoy on any type of non-motorized bicycle. Check it on Facebook.